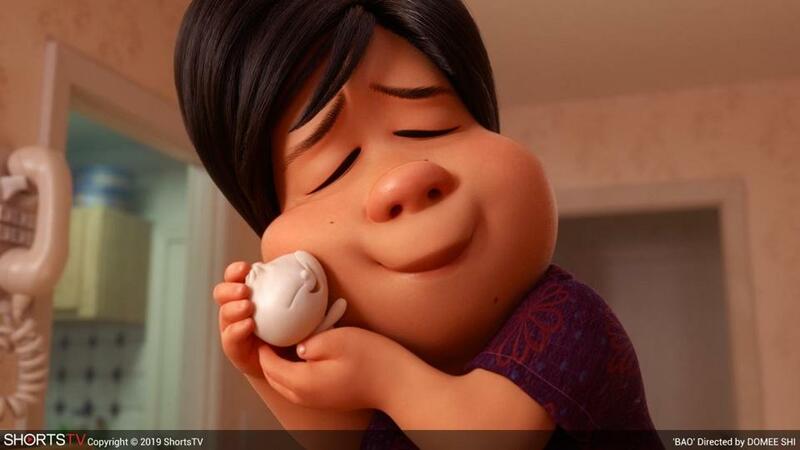 “Bao” is about a lonely mama whose pork dumpling comes alive as a child surrogate. From what little we know about the members of the Academy’s short films and feature animation branch, somewhere south of 400 people screen and nominate the films in the animated shorts category and an estimated third of those people work for Disney or its Pixar subsidiary. It’s not surprising, then, that a drawn or digitally animated film from the Mouse House is almost always in the mix, as there is this year. The consolation is that those shorts are usually mainstream state-of-the-art toons. “Bao” is the Pixar entry, and it’s a weird one, if brought to life with eerily lifelike pixel-rendering. Written and directed by Domee Shi — a nice changeup for the Pixar boys’ club — it tells of a lonely mama whose pork dumpling comes alive as a child surrogate, progressing through an alienated adolescence before pulling a Pinocchio and somehow becoming a real boy. Or is the dumpling a metaphor for a boy already grown? “Bao” doesn’t entirely clear up the mystery, but it’s a delight to watch. A scene from "Animal Behavior." The four other nominated shorts in the program at the Kendall Square are a mixed bag of pleasures. (Two non-nominated shorts, “Wishing Box” and the excellent “Tweet-Tweet,” from Russia’s Zhanna Bekmambetova, fill out the running time to 76 minutes.) 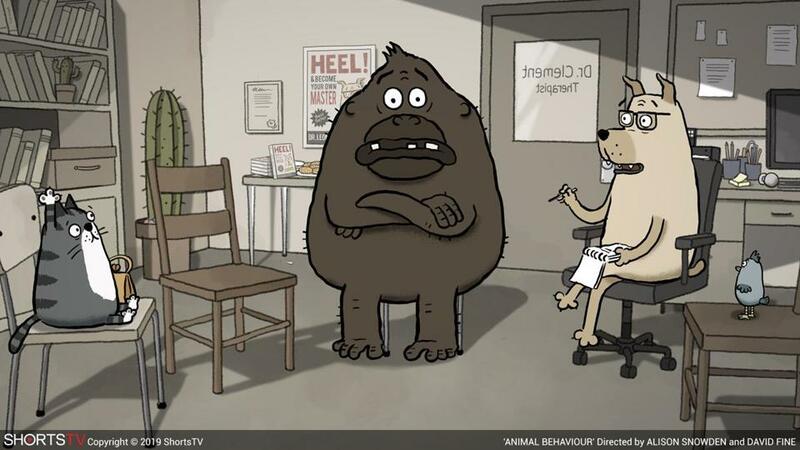 “Animal Behavior,” from Canada’s Alison Snowden and David Fine, is the sprightliest and most obvious of the bunch, a group-therapy session headed by a patient Dr. Dog, whose members include a leech with attachment issues, a praying mantis with relationship troubles, and a gorilla struggling with anger management. The setup is clever, the execution less so; still, it’s fun. A scene from "One Small Step." 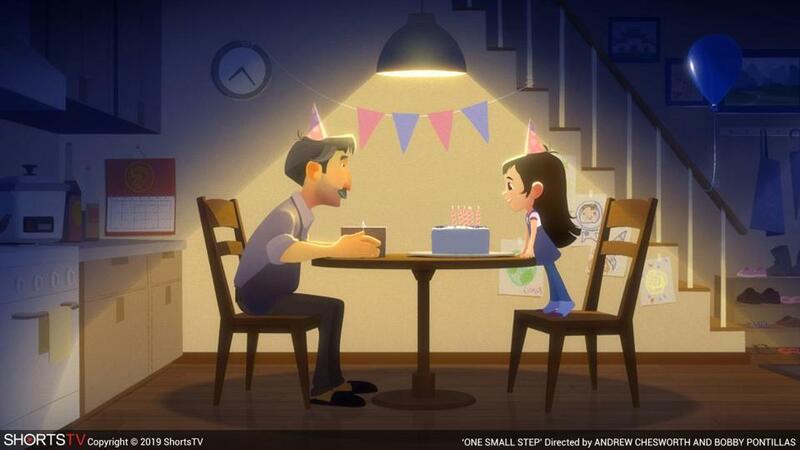 “One Small Step,” the first release from Taiko Studios, a Chinese/American joint venture, is a dutifully inspiring story of a little girl who wants to grow up to be an astronaut and, after numerous setbacks, achieves her dream. Cute, appealing, and thin, its presence among the other nominees feels like a vote of confidence for a company just getting on its feet. A scene from "Late Afternoon." “Late Afternoon” is better, if just as simple in its flights of fancy. 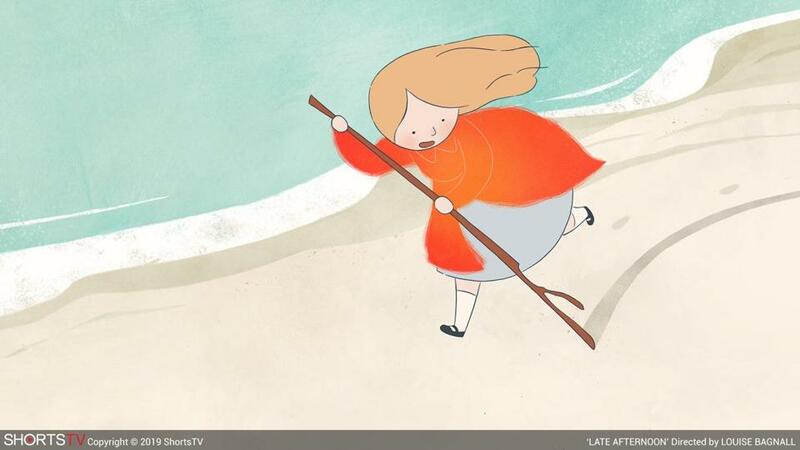 From director Louise Bagnall (who worked on 2017’s Oscar-nominated feature “The Breadwinner”), it tells of an aging woman (voiced by Irish actress Fionnula Flanagan) who retreats from Alzheimer’s into soaring, colorful memories of her life. Bagnall’s visual style combines clean lines and washes of brilliant chromaticism, and the effect is powerfully moving. What does it say that the two best shorts in both the live-action and animated short film categories are about the relationships between two women of different generations? Although that’s leaving out Trevor Jimenez’s masterful “Weekends,” about a little boy being shuttled between recently divorced parents. Told without dialogue and using an intentionally messy approach of scratched pen lines and blotchy watercolors, the film dramatizes an inner emotional reality that every so often flares out into surrealist touches. 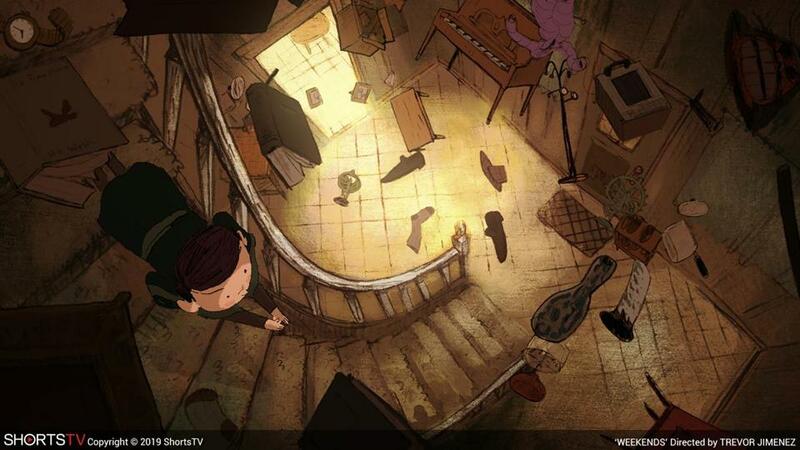 Great animation not only shows us what could never be; it visualizes what already is but hidden out of sight. Funny, scary, and galloping toward transcendence, “Weekends” is the kind of toon Disney or Pixar could never imagine, and this category and audiences are richer for it. At Kendall Square. 76 minutes. Unrated.